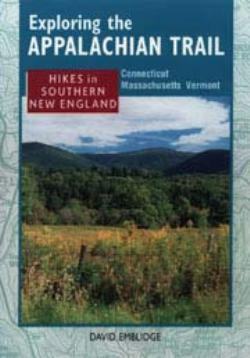 Exploring the Appalachian Trail: Hikes in Southern New England, by David Emblidge, 1998. Excellent guidebook that describes 29 day and overnight hikes along the AT in CT, MA and VT. Each hike narrative is accompanied by a topo map, elevation profile, itinerary and informative sidebar. 292 pp, 5” x 7”.